The European Court of Human Rights in Strasboug was set up in 1959 and is entirely distinct from the European Court of Justice. The European Court of Justice deals with European law issues. It interprets EU law and ensures that member states comply with European Law. The European Court of Human Rights is the highest court in Europe for individuals who feel that their human rights have been breached by a member state to the European Convention on Human Rights. The Court’s objectives are wide ranging. As well as defending Human Rights, the right to democracy and promoting the rule of law, the Court prides itself on seeking solutions to sociological issues, such as racism, AIDs, drugs, intolerance and the rights of minority groups. In addition, it raises awareness of the cultural identity of Europe and develops political partnerships between the newest democratic nations of Europe. How Do You Take Your Case To Europe? You cannot simply decide to take a case to the European Court and lodge a claim. You have to have exhausted all other remedies beforehand. In England, for example, this may mean having to go to the Supreme Court (the highest in the land) first. Once a claim is filed at the European Court, three judges consider its merit. The judges must vote unanimously. If all three decide that the claim has no merit, then it is dismissed. As citizens of member state countries became more aware of their human rights, the Court became more and more busy. This then resulted in cases taking up to five years to come to resolution. There was also the fear that a lot of cases were dismissed just to try to clear the backlog. Russia is the biggest source of cases in the European Court of Human Rights. There are a large number of claims that come from Central and Eastern Europe. This is generally because citizens in newer democracies in tend not to have as much trust in their legal systems as individuals who live in more established member states. There are currently proposals to ensure that individuals get access to justice more quickly and cases are progressed more individually, but these have not yet been implemented. The Court deals with a very wide range of alleged abuses of human rights. These include allegations of improper conduct of trials, the mistreatment of prisoners, and other violations under the Convention. If the Court finds in favour of an individual, the member state that has been taken to court by the individual is legally bound by its verdict. 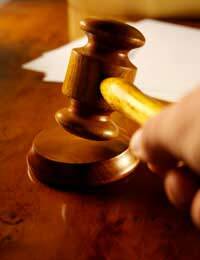 The one drawback is that the Court does not have the ability directly to enforce judgments. Another requirement for individuals seeking to take human rights cases to Europe is that the individual must be the person who has suffered the alleged breach. It is not possible to bring a case on behalf of someone else. Similarly, you cannot sue an individual in Europe – the party who has allegedly breached your human rights has to be a public body or member state. This means that you cannot allege that a private body has broken your human rights.